–ADVICE: Do not pay off your ticket without talking to an attorney. The courts and DMV administer points or penalties to those cited to have broken the traffic driving laws. Of course one has to be convicted of the offense before the points are acquired. Hiring a good lawyer would assist you with any potential impending charges. 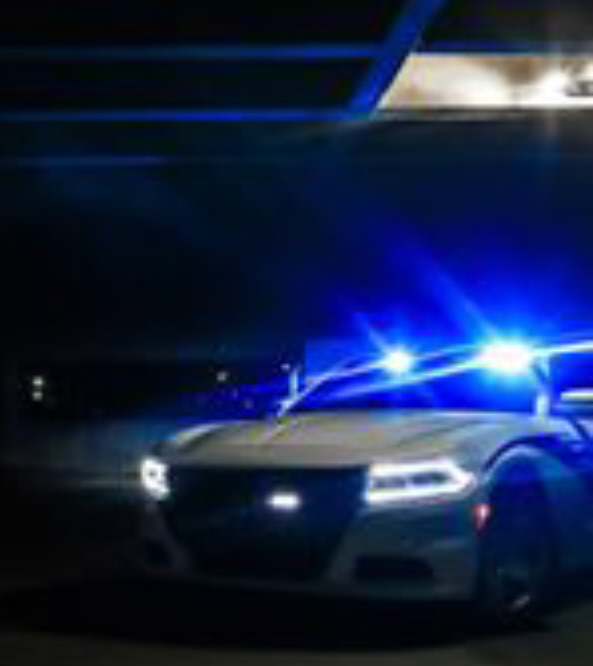 Paying off your speeding ticket can result in increases in your auto insurance cost. A North Carolina driver who pays off a 70mph in 55 mph charge will see a 45% increase in rates for 3 years, even if that driver’s record is clear. If you are charged with speeding, there are often several options available to help including the possible options of driver school, reduction and prayer for judgement. Mike can explain the pros and cons of each option. Speeding 15 mph over the speed limit and missed court dates can result in revoked driving privileges. In this computer age, if you ignore the ticket, your home state can reciprocate with North Carolina allowing DMV to place a hold on your license until the case is cleared up. If left unresolved you could get a surprise arrest while going through a simple traffic check. The ticket will not just go away. What are my options if I do NOT pay off my ticket online? Rare in traffic cases, but certainly possible, especially in wreck cases involving another injured party or a civil aspect. A case dismissal happens when the courts are persuaded to do so, Mike Edwards has gotten hundreds of traffic matters dismissed over the years and will do so in your case if the situation allows. 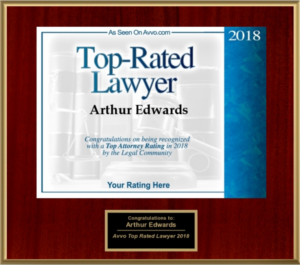 In many cases, Attorney Edwards can obtain this result, this is the best outcome after dismissal, which means no insurance increase and no points on license. This option usually saves you the attorney cost and years of increased insurance cost. In specific cases, getting the DA to allow you to attend the Driver Safety School can reduce impact on your fines and insurance points, saving thousands of dollars. And eliminate or reduce points on license which may be what is needed to save your job. Often a simple negotiation to reduce your speed helps, but this is tricky, depends on your record and license status. Offering no guarantees Mike Edwards will tell you if this will work in your specific situation. Contrary to what many attorneys will tell you (your cheapest option) “Prayer for Judgment to be Continued” (abbreviated PJC) is almost never a good option. This status is like a suspended sentence in that you can activate the ruling and acquire license points if you get another ticket in three years. Not recommended unless you are out of options which is seldom the case. To be honest, taking a traffic case to trial by judge is rarely a good option, and usually results in the worst sentencing result. There are exceptions to this rule, but generally this costly option is not worth the trade off of just accepting the sentencing, fines and points and learning from the experience. “Why do I need a experienced DWI trial lawyer”? 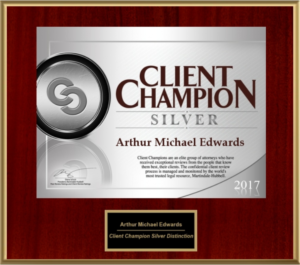 A seasoned trial lawyer like A. Michael Edwards would be a huge benefit for almost any case that goes to court in McDowell County, North Carolina. Hiring a local traffic lawyer with 35 years of experience as a trial lawyer, holding a high 89% success rate speaks volumes. This level of success and experience indicates that he knows the opposing attorneys and their typical strategies. Need a charge reduced? He knows the difference that mitigating factors can have on the outcome of your case. Attorney Edwards will assess your individual situation then advise on which options are best for you. Having advice like that gives you the opportunity to balance the scales back to your favor. And possibly stay out of JAIL! Sounds Greek, right? But these two phrases are powerful in a court case and you need to understand how you can ease the outcome of a mistake. An aggravating Factor is a fact or circumstance that increases the severity or culpability of a criminal act. Aggravating factors include recidivism (the tendency of convicted criminals to reoffend), lack of remorse, amount of harm to the victim, or committing the crime in front of a child, among many others. A mitigating factor is any information or evidence presented to the court regarding the defendant or the circumstances of the crime that might result in reduced charges or a lesser sentence. What are the Five Levels of North Carolina DWIs? If the defendant is placed on probation, the defendant must obtain a substance abuse assessment and the education or treatment required for the restoration of a driver’s license. Level V: Punishable by a fine up to $200 and a minimum jail sentence of 24 hours and a maximum of 60 days. First offense – (level 4)- differs from the lowest level in cases where a wreck or bad driving are present. The case plan is similar with the goal to reduce consequences as low as possible. Court fees and fines will be about $100 more and community service will be 48 hours, and a driving permit is possible. Level IV : Punishable by a fine up to $500 and a minimum jail sentence of 48 hours and a maximum of 120 days jail. A judge must find that there were no grossly aggravating factors and that the aggravating factors substantially outweigh mitigating factors. A defendant subject to Level Three punishment may be fined up to $1,000 and may be sentenced to a maximum term of not more than six months. The term of imprisonment may be suspended, but shall require that the defendant: Be imprisoned for a term of at least 72 hours as a condition of special probation; or Perform community service for a term of at least 72 hours; or If the defendant is placed on probation, the defendant must obtain a substance abuse assessment and the education or treatment required for the restoration of a driver’s license. Level III : Punishable by a fine up to $1,000 and a minimum jail sentence of 72 hours and a maximum of six months prison. More severe than Level Three. A Judge must find that there was one grossly aggravating factor. The Judge does not weigh aggravating and mitigating factors, except if they affect how much of a punishment he will give under the Level 2 punishment guidelines. A defendant subject to Level Two punishment may be fined up to $2,000 and may be sentenced to a maximum term of not more than 12 months. The term of imprisonment may be suspended only if it requires the defendant to serve a term of imprisonment of at least seven days or to abstain from consuming alcohol for at least 90 consecutive days. If the defendant is placed on probation, the defendant must obtain a substance abuse assessment and the education or treatment for the restoration of a NC driver’s license. The judge may impose, as a condition of probation for defendants subject to Level One or Level Two punishments that the defendant abstains from alcohol consumption for a minimum of 30 days, to a maximum of the term of probation, as verified by a continuous alcohol monitoring system. A Judge must find that there was a passenger under the age of 18 in the vehicle or that there were two grossly aggravating factors. A defendant subject to Level One punishment may be fined up to $4,000 and may be sentenced to a maximum term of not more than 24 months. The term of imprisonment may be suspended only if it requires the defendant to serve a term of imprisonment of at least 30 days. A judge may reduce the minimum term of imprisonment required to no less than 10 days if the defendant abstains from alcohol consumption and is monitored by a continuous alcohol monitoring system for no less than 120 days. The defendant must obtain a substance abuse assessment and the education or treatment for the restoration of a NC driver’s license. Level I: Punishable by a fine up to $4,000 and a minimum jail sentence of 30 days and a maximum of two years in in prison.